Compatible with all operating systems, though drives with a capacity of 137GB or more are only compatible with Windows 98 onwards and Mac OS 10.2 onwards. Desktop and laptop computers, particularly low-end ones. The primary interface used by IBM and adopted by Apple in 1994. 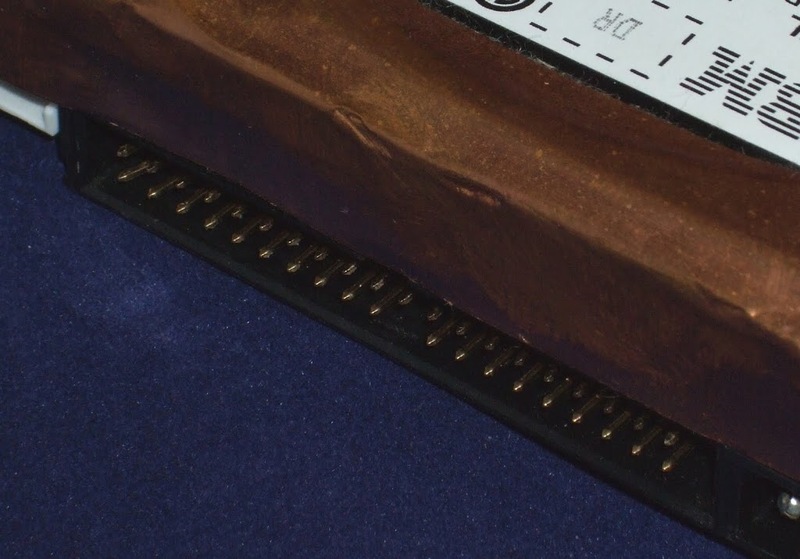 ATA, designed in 1986 was an evolved form of Western Digital’s original Integrated Drive Electronics (IDE). It was used for desktop and laptop computers. After the development of SATA in 2003 ATA became retroactively known as Parallel ATA (PATA). Here is an example of an ATA interface. It is identified as ATA because of the rectangular 40-pin connector socket used. The second image shows the male connector. The first ATA hard disk drive was used in the Compaq Deskpro 386. It had a transfer rate of 16 MB/s and a capacity of 128 GB. Later versions had larger transfer rates, though none exceeded 80 MB/s until 2005. Before the advent of SATA, ATA hard disk drives were popular with IBM PCs due to their low cost. ATA drives are also found on post-1994 low-end Apple Microsystems, the first being the Apple Quadra 630. In 1997 Apple also adopted ATA for their high-end machines starting with the Apple Powerbook G3. 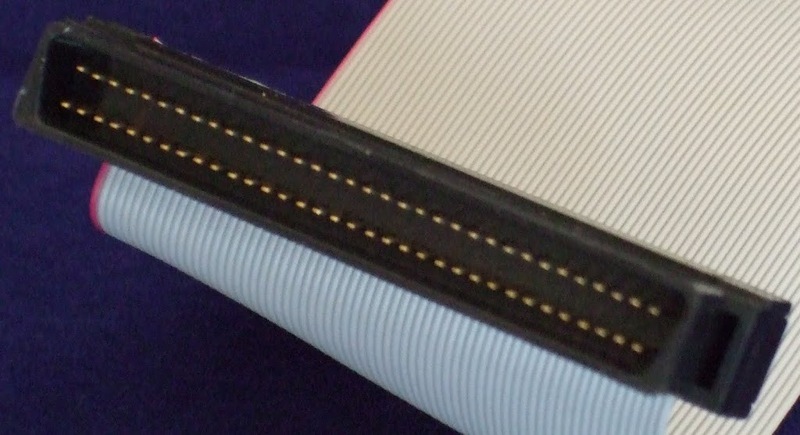 The ATA connector has a relatively short cable so ATA hard disk drives are commonly inbuilt. Compatible with at least one version of all major operating systems: supports versions of Windows after XP. Also, drives with a capacity of 137GB or more are only compatible with Windows 98 onwards and Mac OS 10.2 onwards. Unlikely to be found on 8” or 5.25” drives. Servers, desktop and laptop computers. Adopted by IBM and Apple to replace ATA. SATA was introduced in 2003 as a faster version of ATA and is used with desktops, laptops and servers. It was intended to replace ATA, and had almost completely done so by 2007. SATA uses AHCI (Advanced Host Controller Interface) and if a computer does not have it SATA runs in ATA emulation mode. This applies to Windows OS up to Windows XP, though Windows Vista and later versions support AHCI. Linux with a kernel version 2.16.19 onwards will support AHCI as will Solaris operating system. 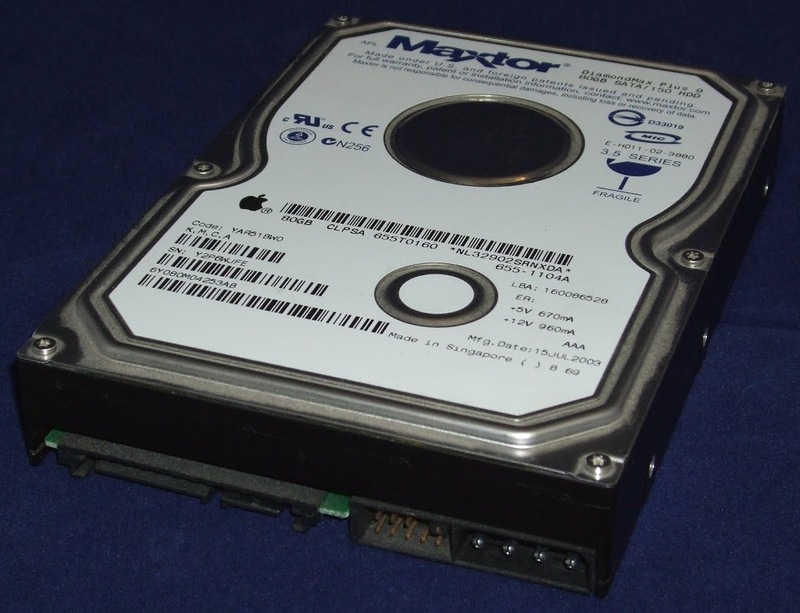 The image below shows an example of a SATA interfaced hard disk. The manufacturer’s details are clearly displayed. This type of interface uses a different connector, which is more clearly visible in the second image. 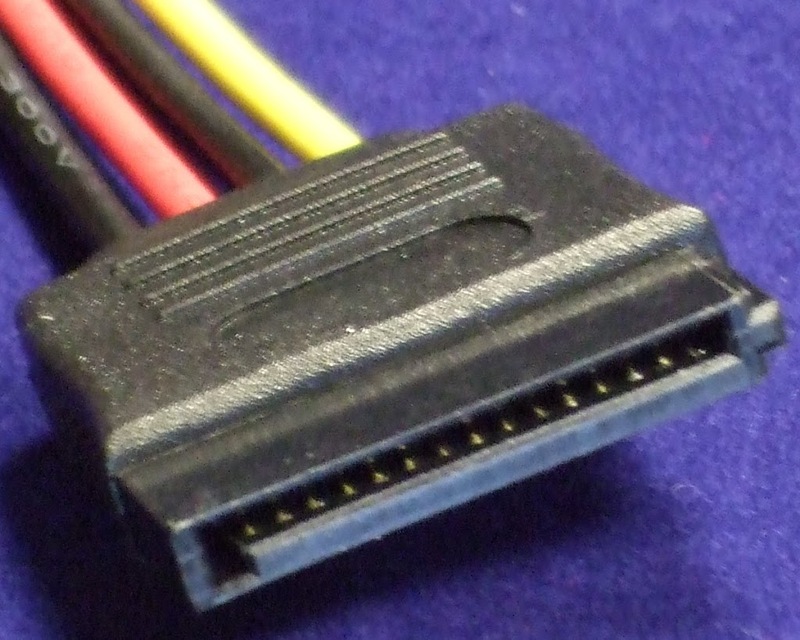 The SATA interface uses a 7-pin connector and socket, as seen in the above image. SATA differs from its predecessors in that it has the option of two power sockets. There is the standard Molex power socket on the right, but SATA drives also have their own power socket. This is a 15-pin connector situated next to the data socket. The image below shows the reverse side of the hard disk drive. The data socket is on the left and the power connector is on the right. The images below show the two male connectors, with the data connector first then the power connector. Initially SATA had a transfer rate of 131 MB/s and the SATA revision 2.0 increased this to 300 MB/s. SATA is still currently being developed and the latest version released in 2009 has a transfer rate of 600 MB/s. 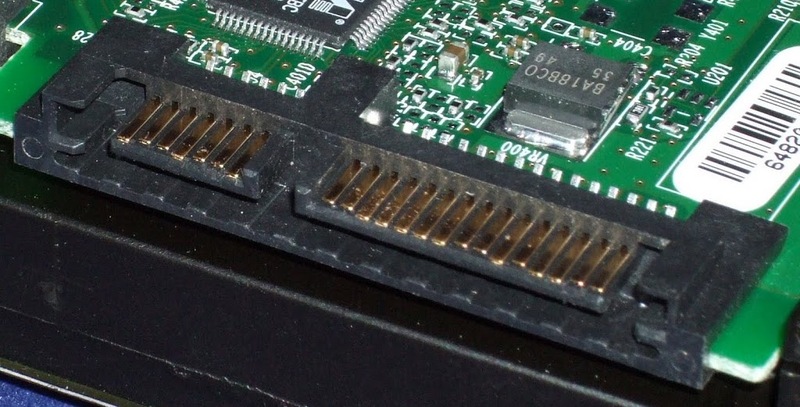 External SATA hard disk drives often include their own eSATA connector. More information about this will be in the next post. Servers and primarily high-end computers. Used on all microcomputers until ATA established. Used by Apple for low-end machines until 1994 and high-end machines until 1999. SCSI was introduced in 1981 under the name SASI (Shugart Associates System Interface). It was used with various operating systems including Microsoft Windows, Mac OS, Unix and Linux. However, as ATA gained popularity SCSI became associated more with high-end machines and servers. Even then SCSI began to lose popularity in the 1990s and was abandoned by Apple Macintosh in 1999. In the last decade provision for SCSI on motherboards has been largely discontinued with manufacturers preferring SATA and SAS. 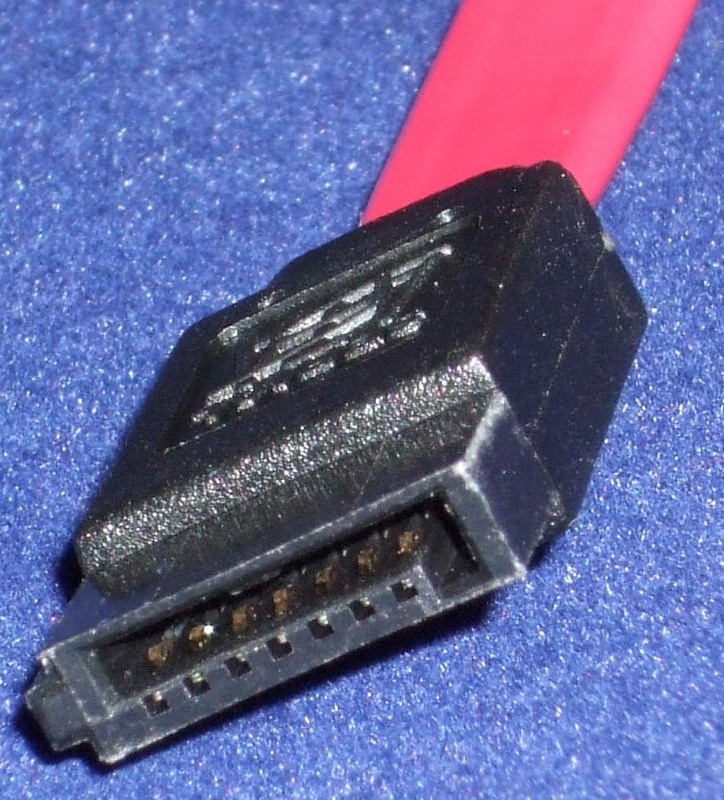 The SCSI interface uses either a 68 or 80-pin connector (68-pin is more common) and a Molex power connector. The images below show the female and male 68-pin socket and connector. The first SCSI interface had a transfer rate of 3.5 MB/s which soon increased to 5 MB/S. The rate increased in 1994, 1997 and again in 2003 to reach 320 MB/s.